Price Promotion in 20% off Djeco! 20% of people buy Djeco: Pachat Silhouette - 24pc Puzzle and Djeco: 50pc Puzzle - Puss in Boots. 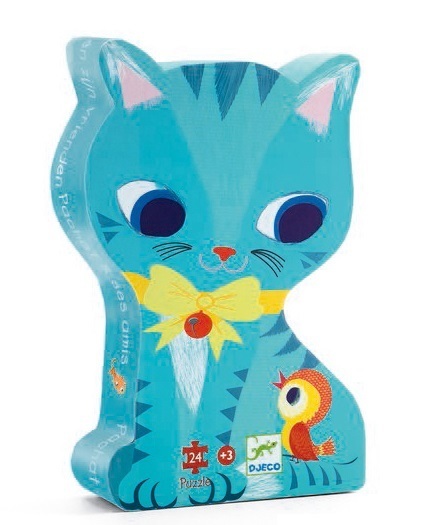 This beautiful Pachat and his Friends puzzle from Djeco consists of 24 pieces and comes in a cool, kitty shaped box. The large sized pieces in this cat themed puzzle are perfect for little puzzlers. 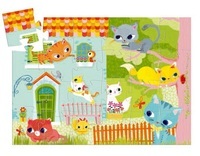 This is a wonderfully illustrated jigsaw puzzle of Pachat cat playing with his friends.